Welcome to the Beauregard campsite in the town of Mesnois where you can enjoy the pleasant surroundings between forests and the river. 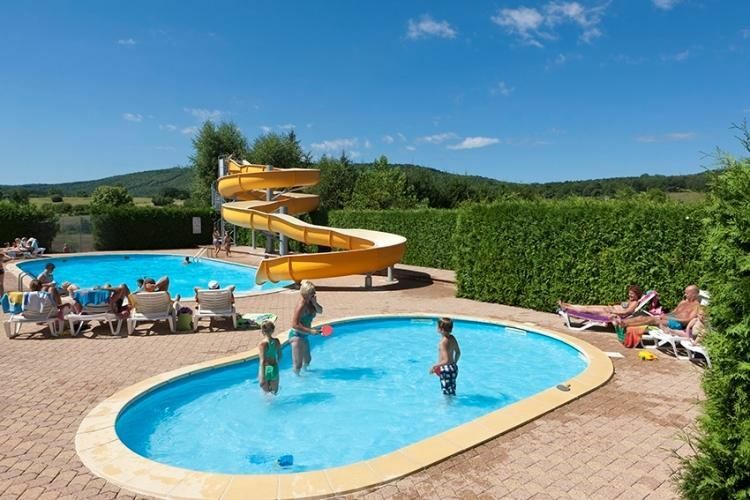 Enjoy the friendly atmosphere hare at this 4 star campsite in the department of Jura, a perfect place for relaxing family holidays. In Mesnois you’ll be at the heart of the Jura region full of charming sites such as Baume-les-Messieurs (20 km away), Lons-le-Saunier (17 km away), Arbois (46 km away), Salins-les-Bains (52 km away) and Divonne-les-Bains (87 km away). The Beauregard campsite is situated in a 6 hectare park, ideal for fun-filled days! Taste the fresh and vivacious country air and select a spacious, shady pitch in harmony with nature. The Beauregard campsite is open from June to September. It has a lovely pool complex with outdoor swimming pools, water slides, sun loungers, an indoor pool, a spa and jacuzzi. Everything is organised for your enjoyment and comfort. Let your children play on the play areas and its inflatables. Have fun playing football, tennis, boules, mini golf, ping pong or basketball. After a hike, taste some of the delicious cuisine on offer at the restaurant, order pizza or get some fresh air at the terrace bar. You will also find an on-site WiFi access. Clairvaux Les Lacs station (7 km). Nearest town : Mesnois (200 m). 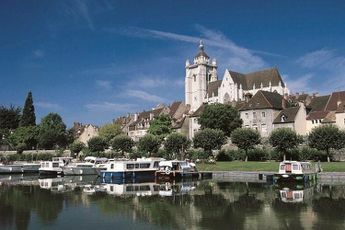 Less than 20 km away, Lons-Le-Saunier is both the administrative centre of the department and a charming spa resort famous for its saline waters that help to fight rickets. It is also the birthplace of Rouget de Lisle, the composer of La Marseillaise. In contrast, the amateurs will appreciate that in 2009, the Maison de la "Vache qui rit" opened in this city to celebrate Léon BEL's creation! From Lons-le-Saunier, you are perfectly located to organise a series of tours that will take you to several remarkable sites: First of all, there is the cirque de Baume, which was awarded 3 stars by the Michelin guide. You can walk along the the edge of the cliff where you will find the famous panoramic viewpoint of the Roches de Beaume, quite extraordinary. A path will then lead you to the Echelles de Crançot, stairs carved into the rock face, that will guide you to the bottom of the cirque and the caves. Next, turn to the lake region! Don't miss the lac de Chalain; situated at 492 metres of altitude, it is the largest in the lake region, the most beautiful and the most impressive of all. You can fish and go rowing. Finally, to finish off, bring along a raincoat to visit the Herisson Falls, with its waterfalls and cascades. Two among them, the Eventail and the Grand Saut, compete to be the most beautiful in Jura.